Rollback towing, modern flatbed, tilting designs, allow for your car or truck to be completely off the pavement surface ensuring a damage free transport. This is the preferred method of transport for all vehicles check your owners manual. A stuck car needs to be handled carefully. 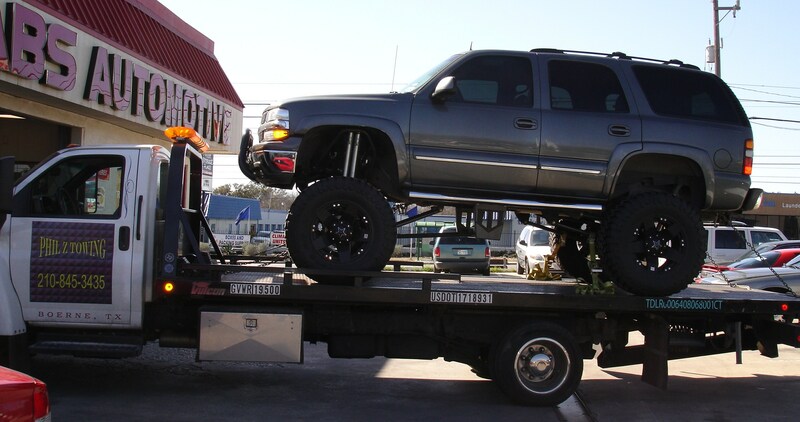 A “wrecker” is an older style towing method of dragging a car behind on 2 wheels it lifts with a”wheel lift”. Wreckers., cannot ensure a 100% damage free tow unless they are carefully using dollies with it so your wheels are not on the pavement, because when the truck drives up or down an incline the rear bumper may scrape the pavement and the front tires may as well, depending on the incline. 78245, 78253, 78251, 78250., quicker near Marbach rd…………….. , Ingram…………….., Potranco rd…………….., Wiseman……….., Military, Culebra rd.. 78245, 78250, 78251, 78253………… San Antonio, Texas……. We are honest, ethical, friendly, and dependable, we will do our best to help remedy your situation as economically and timely as possible.. We take pride in doing a good job for you… We are a liberty minded business……, gay friendly………………,. and friendly to all…….., we are proud to be part of a society based on the pursuit of happiness and freedom for all. The above picture is from a few years ago delivering a lifted Tahoe at ABS auto shop, not BS Automotive! lol.